Happy Birthday, Mason! You were named after Grandpa Archer! Mason Gerald. 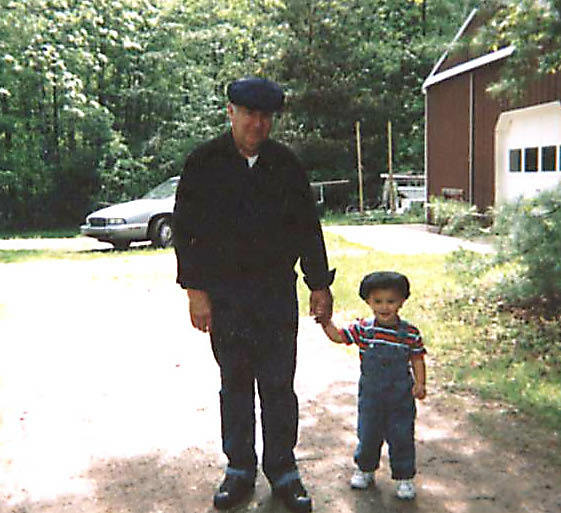 This is my favorite picture of you and Grandpa! He is super proud of you! You’re our third grandchild to become a teenager this year! We’d love to watch you play LaCrosse! You’re quite the sportsman! We wish we could be with you to celebrate this big day with you and your family! I’ll be seeing you soon when I come down for Miller’s graduation. I wish for you a super fun, fabulously great day today! Heavenly Father, thank You for Mason! He’s a great kid! Help him in school to do his best. He loves sports. Please keep him safe as he plays. Watch over him as he’s entering his teen years. Help him to be a friend to everyone but please keep his close friends as those who will be good friends to have fun with and to be a good influence on him. Please keep him safe and well. Help him as he learns of You to know that You have a plan for his life. I love Mason so much and You love him even more! This entry was posted in Birthday, Family, Grandchildren, LaCrosse, Mason, Memories, South Carolina and tagged Birthday, Family, Grandchildren, LaCrosse, Mason, Memories. Bookmark the permalink. My husband is scanning old pictures now from 30-40 years ago and we are finding photos like these, even one of my 61-year-old brother when he was in elementary school. What treasures!